Claire is contemporary jeweller and artist based at the Grenaby Art Studios in Ballabeg. 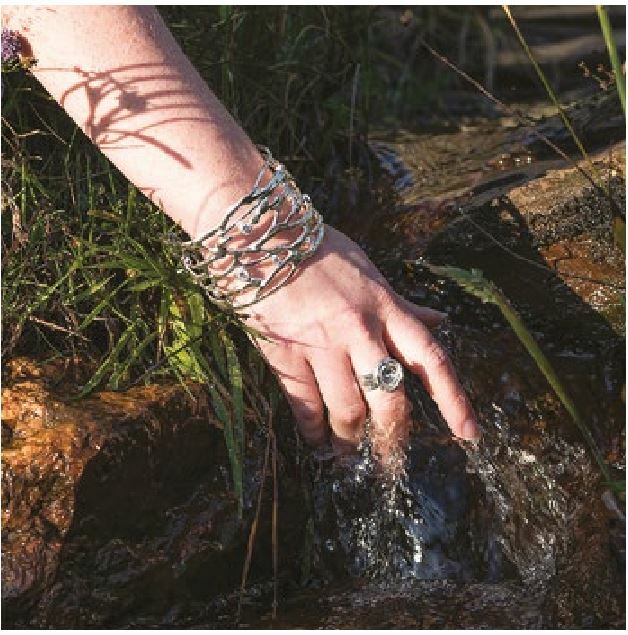 She designs and hand crafts her Elementisle jewellery here on the Island, using recycled silver, gold and ethically sourced gemstones. Her trademark flowing, organic and innovative design style is influenced by the Island and its natural environment, as well as her travels and time spent living overseas in Denmark, the United States and Scotland. Claire is a founder member of the Longhouse Artists Collective, a thriving art and contemporary craft collective based at Grenaby Artist Studios.